Calling all nurses (and even non-nurses) with an interest in end-of-life care… Get your game face on and check out this innovative approach to online learning and continuing professional development. According to the Learning Nurse Resources Network, the Learning Nurse website provides an independent, free and safe resource for ALL levels of nurses to assess, maintain and enhance their professional competence. 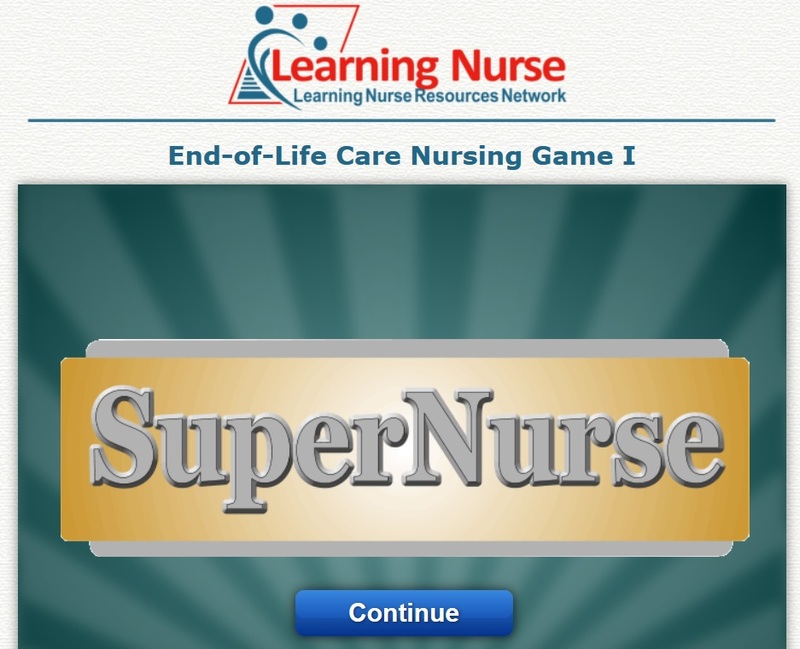 Of particular interest to those in the Palliverse, will be their interactive games on end-of-life care: End-of-Life Care Nursing Games I & II. Accompanied by music and the theme of ‘SuperNurse’, you are given 15 questions randomly selected from a pool of 30 items. For each correct answer, you are awarded 10 points; for each wrong answer you are deducted 5 points. You have 30 seconds to complete each item. I’ve road-tested both games, and found them to be engaging and fun in comparison to some in-service education sessions I have had to endure. It’s really helpful that further detail is provided should you answer any questions incorrectly, but I think the citation of references would be a useful enhancement. Whilst still relevant for experienced and specialist clinicians, perhaps this kind of educational tool might be most useful for those providing end-of-life care in non-specialist settings or for those new to palliative care. Do you know of any other free educational games like these? This entry was posted in #FOAMed, #FOANed, Education, Ideas by Jason. Bookmark the permalink.